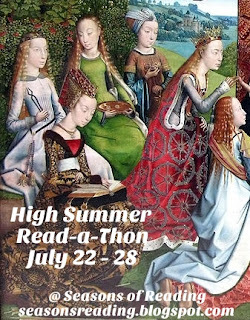 In July, I read 59 books. 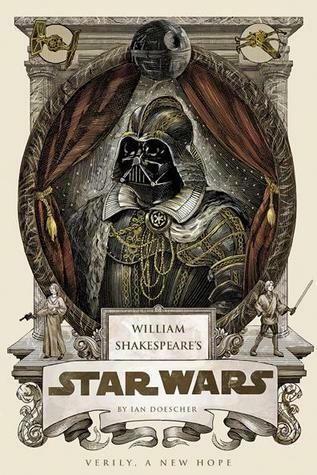 William Shakespeare's Star Wars. Ian Doescher. Wool (Omnibus Edition, Wool 1-5). Hugh Howey. Platypus Police Squad: The Frog Who Croaked. Jarrett J. Krosoczka. Death on the Nile. Agatha Christie. The Magic Pudding. Norman Lindsay. All The Truth That's In Me. Julie Berry. Three Rivers Rising. Jame Richards. 2010. Random House. 304 pages. Paris. Edward Rutherfurd. 2013. 832 pages. A Tangled Web. L.M. Montgomery. 1931. 257 pages. Earth Afire. Orson Scott Card and Aaron Johnston. (The First Formic War) 2013. Tor. 400 pages. Zoo Station. David Downing. 2007. Soho Press. 304 pages. Love Takes Wing. Janette Oke. 1988. Bethany House. 240 pages. [Source: Own]. UnChristian: What a New Generation Really Thinks About Christianity...and Why It Matters. David Kinnaman and Gabe Lyons. 2007. Baker Books. 256 pages. Stealing the Preacher by Karen Witemeyer. 2013. Bethany House. 352 pages. Bonhoeffer on the Christian Life. Stephen J. Nichols. 2013. Crossway. 208 pages. Erasing Hell: What God Said About Eternity, and the Things We Made Up. Francis Chan and Preston Sprinkle. 2011. David C. Cook. 208 pages. The Shade of the Moon is the fourth 'moon book' by Susan Beth Pfeffer. It is narrated by Miranda's younger brother, Jon, who is now 16. When the book opens, it has been around four years since the moon incident and around two years since Jon, Gabe, and Lisa made it into the Sexton enclave. The events of this novel cover late April through mid-August. Jon hasn't been a character I've ever really thought about. He's his mother's greatest hope in some ways. In Life As We Knew It, the mom makes clear to Miranda and Matt that Jon is to have every consideration in the world, that he is the chosen one who must survive. In This World We Live In, we see a fourteen year old Jon have a little crush on Julie, I suppose. But honestly Jon has always been uninteresting to me. Jon is not a nice person. The sad thing? In the enclave, he's still one of the "good guys." The standards have lowered so much that even though Jon is a complete jerk in some ways, in comparison with the other teen boys we see, he's a "nice" guy. Jon has an excuse for why he HAS to act the way he does. He is doing it so he fits in, he's doing it so the family can remain in good standing. (Lisa is coming up for review. If she passes, they'll be guaranteed a spot in the enclave for another three years. If not, well, they'll all be forced to leave unless Lisa allows Gabe to be adopted by an eager childless couple.) Jon thinks he has no choice, that he's not at fault, that this is just how things are. Sarah Goldman is a new girl in Jon's class. Sarah is instantly drawn to Jon (it seems) and Jon is falling for Sarah just as quickly. Sarah is off-limits according to Jon's "best friends." They want Jon to choose between staying with them, or choosing the different-outsider-girl. He chooses his friends, of course, this is Jon we're talking about! But Jon still is hoping that Sarah will wait for him. Pfeffer explores the haves and have-nots of the new world; the "grubbers" those who live outside the enclave (the laborers, the domestics, the miners) and the "clavers" those fortunate few who live inside the enclave (the thinkers, the leaders, etc.). The clavers have been taught by their teachers, their parents, their neighbors, their friends that they are THE BEST. They get the best because they deserve the best. They have been equally taught that the grubbers are the worst. The grubbers are a necessary evil. They're necessary because someone has to do the actual work, the dirty work. But to think of the grubbers as more than mere animals is ridiculous. How does Jon feel about this? You'd think since his own mom, his own sister, his own brother-in-law were grubbers that he would actually KNOW this is complete nonsense. That he would be one of the few clavers with common decency. But Jon tends to think that his family is the exception to the rule. Jon doesn't really like grubbers, he sees them as completely beneath him. He thinks the distinctions are justified in a way. I did not care for Jon, not in the same way I've cared for Alex or Miranda in the past. But his coming-of-age story is interesting in many ways. I found it an absorbing read--difficult to put down. I enjoyed learning more about how the world had changed. I liked this one better than This World We Live In. After seeing Seth's review of Wool, I knew I HAD to read this book. It had me at hello. The first story "Wool" had me hooked. It was so very, very good! So incredibly compelling! And the other sections kept me hooked, kept me reading. It was so hard to put this one down. I just loved spending time with it. It was uncomfortable in places because the action was intense and one didn't know what the outcome would be, but that is a good thing. It showed I CARED about the characters. The world-building in this novel is amazing. So well-done, so well-crafted. It felt genuine too; readers are shown what life is like in the silo; sometimes in dystopian novels, the emphasis is on the telling. In the four subsequent sections, readers meet several key characters. The deputy that served under Holston, the mayor of the Silo, the head of the IT department, etc. Most importantly they meet Juliette, a young mechanic working and living on one of the lowest levels. She has zero interest in being sheriff. But those in power (well, excepting Bernard from IT) have confidence that she'll do a fine job. (Bernard wants his own pick to get the job.) Juliette accepts the job, but it soon proves extremely challenging and very dangerous! It doesn't take readers long to see the power is corrupted. Readers meet a handful of characters from various levels, and the story as a whole is very compelling. The writing, the characterizations, the way relationships were handled, everything felt just right about this science fiction novel. If you enjoy dystopian novels, post-apocalyptic novels, OR mystery novels, then this one is a must! The first time I read it, I found Sophy Stanton-Lucy to be a delightful, sometimes mischievous, matchmaker. I was not as delighted the second time around. I still think The Grand Sophy is a fun book, however. It's just that I've read better Heyer novels perhaps. Sophy Stanton-Lucy is going to stay with her aunt, uncle, and cousins while her father travels. She is a young woman of marriageable age. She's just the right age to be a companion to her cousin, Cecelia Rivenhall. Almost everyone from the family loves and adores her. She has a way of livening things up, bringing joy with her wherever she goes. She's hardly predictable! There are a few people, however, who have reservations about her. One is her cousin, Charles Rivenhall. He isn't quite sure that Sophy is a good influence on her cousins. Why would any proper young lady bring a pet monkey with her? She's just so different from all the society ladies. Charles' fiancee Eugenia Wraxton is another who has doubts. The difference between the two is this: Charles is won over, quite won over by his cousin, and Eugenia, well, let's just say that the more the novel goes on, the more she comes to hate or disapprove of Sophy. Charles comes to see Eugenia in a new light. She can lecture on and on and be quite interfering. He also sees that his own family does not quite "like" to spend time in Eugenia's company. The contrast between Eugenia and Sophy is oh-so-evident. Most of The Grand Sophy focuses on the adventures and misadventures of Sophy and her cousins. Cecelia's love life, for example, leads to many of these adventures. There are quite a few men interested in courting her. And Sophy is often around for these encounters. She is very observant, a bit wiser than Cecelia perhaps, and she has plans and designs on how to help her favorite (Lord Charlbury) win Cecelia's heart in the end. It was a fun, light novel, a good historical romance. It might not be my absolute favorite Georgette Heyer novel, but, it was a good read all the same. Do you have a favorite Heyer novel? 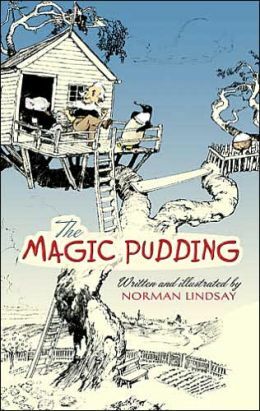 Thus begins the ever-delightful fantasy, The Magic Pudding. It is very important to read The Magic Pudding WITH illustrations. Without the illustrations, the book wouldn't be as charming, as perfect. Bunyip Bluegum, our hero, is a koala who's about to have a great adventure. Soon after leaving home, he meets Bill Barnacle (a sailor) and Sam Sawnoff (a penguin). He also meets (and eats) Albert, a pudding--THE MAGIC PUDDING of the title. This is a fortunate meeting because he had forgotten to pack any food for his journey. 'Dear me,' he said, 'I feel quite faint. I had no idea that one's stomach was so important. I have everything that I require, except food; but without food everything is rather less than nothing. I've got a stick to walk with. It is the Pudding who invites Bunyip to lunch. It is during their meal that he learns of the pudding's magic: it is a "cut-an'-come-again Puddin'"
In this adventure, it's a fierce battle between the three professional puddin' owners and the two professional puddin' thieves. In all four slices, Bill, Sam, and Bunyip face off against the horrid thieves--a Wombat and a Possum. It's a delightful blend of prose and poetry. I definitely recommend this Australian classic. They'll never our puddin' own. If you like your books cute and quirky, then The Cherry Cola Book Club might work for you. It has a cute premise. A young librarian, Maura Beth Mayhew, learns that her job is in danger. The city council want to close down the library because there are only a small handful of people using it. (Probably less than ten people a week.) So Maura Beth Mayhew decides to do something to turn the situation around. She's been given six months or so to make a difference with her library. Fortunately, there's a new comer in town who offers a suggestion and the necessary funds to make that suggestion a reality. She used to be part of a book club. She'd be willing to help start one here. She'd be willing to buy what it takes to make the club meetings a success. Between the two of them, they find five or six people to join the reading club. The book focuses on their first two meetings. The first in which they 'discuss' Gone With The Wind, and the second in which they 'discuss' To Kill A Mockingbird. Readers meet plenty of quirky small town characters. Do they truly get to know them beyond the surface? I'm not sure they do. The characters all felt as substantive as the cardboard cutouts of the movie stars they buy to decorate for club meetings. What we do see of the characters is interesting enough I suppose. It's just there isn't enough to make the book feel genuinely satisfying. (The dialogue didn't feel quite right, quite natural.) The story is predictable and pleasant. Readers know just what to expect from the start: a cozy, quirky, cutesy read about small-town Southern life. I was not wowed by this one. It's a pleasant enough read, however. Ladies in Waiting is set during the reign of Charles II, the 1660s. (Be sure to watch the video!) The book is not a romance. The book is about the choices or lack of choices women had during this time period. (Did women have any power over their lives? Were women merely the property of their fathers or husbands?) We see this depicted in the lives of three very different women all named Elizabeth. Eliza Parsloe does not want to get married. She thinks she has a better chance of manipulating her father than any future husband. She is a thinker. She loves to write. She'd love, love, love to write plays and have them produced. The bawdier the play, the better! Beth Foljambe will fulfill all her mother's plans...or else. Oh, Beth's mother is creepy and strict and cruel. Beth is at court to get a husband, not of her own choosing, of course, that would be ridiculous. But her mother is determined to protect her daughter's virtue until she can find the right husband for her. Beth secretly and perhaps foolishly is thinking of a childhood friend, a boy, that she hasn't seen in ages. When she sees him again, it's TRUE LOVE, or is it?! Zabby Wodewose is an intellectual woman interested in science, nature, and medicine. Raised in Barbados, she is traveling to England for the first time. She happens upon Charles II at a very vulnerable time. He is very ill, and she nurses him back to health. He swears her to secrecy, and the whole world perhaps with the exception of Eliza and Beth thinks that Zabby is one of the King's (many) mistresses. As a result of her being in such close contact with him, she becomes obsessed with how in love she is with him. These three become close to one another since they all serve the same Queen (Catherine of Braganza). All three women have secrets, of course: some they share with the others; some they don't. All three women have strengths and all three women have weaknesses. None of the heroines are perfect. I didn't exactly "love" (if love goes along with the idea of unconditional approval) any of the heroines. However, I found their stories fascinating or entertaining. The book is full of sexual innuendos and jesting which completely suits the time period. You might be interested in: Catherine of Braganza, Charles II, Thomas Killigrew, Barbara Palmer, Nell Gwyn, Duke of Buckingham, Samuel Pepys. I really LOVED this adaptation of Star Wars A New Hope. It is somewhat faithful to the movie and somewhat faithful to Shakespeare. I appreciated the movie being broken down into five acts and many scenes. The illustrations!!! Oh some of these were just WONDERFUL. Luke: -- I wonder who she is. Her cause, I shall unto her pleas respond. A duty of more weight than I feel now. This business shall reveal my final stage. For that one beastly word: adventure? Fie! But soft, my soul, be patient and be wise. And forward marches Fate, not the reverse. And take whate'er adventure comes my way. Escape From Mr. Lemoncello's Library has a great premise. If you love games (board games, word games, puzzles, etc.) OR if you love libraries (books, reading), then you're in for quite a treat. Mr. Lemoncello is a famous game maker. He makes board games and video games. His games are the best in the world. His hometown has not had a library in twelve years; the old library had burned down. So the new spectacular library needs a grand opening like no other. Twelve lucky children (all age twelve, of course) will get to spend the night locked in the library! But that's just the start of this fantastical book. For in reality, the children will have to "escape" from the library--it's a contest of wits. There are games to be played, risks to be taken, teams to be formed. It will take brains to solve the ultimate game. They only know they cannot use the door they came through or they will be disqualified! Readers meet all twelve children, but not all children get equal time and attention. This book is fun not because of the characters, but because of the engaging puzzle and the cleverness of the text. This text might appeal more to adult readers, especially librarians who know their children's literature, than to children. But it was fun. I really enjoyed it! She wore her tutu to school. "Not again," her mother sighed. She wore her tutu in the pool. "Not again," her father moaned. Not That Tutu is a cute story (maybe even a cute, cute story) about a little girl named Taylor and the family who loves her. (Attention being paid to mother, father, brother, grandmother, and a grandfather!) Taylor loves, loves, loves her pink tutu. She will never give up wearing it...or will she? What will her NEXT favorite clothing item be?! I'm going to a fancy party! Can you help me find my perfect party dress? My dress has puffy sleeves like this red one. But this is not my dress. This orange dress sparkles like mine! But this is not my dress. 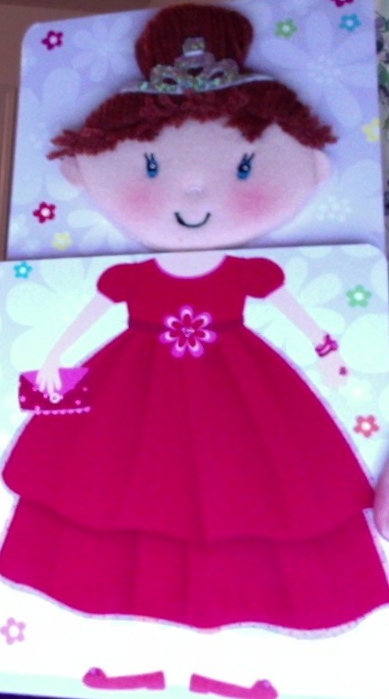 Little ones can dress up this pretty princess by turning the pages. Each dress is a different color. There are six dresses in all. Which dress will be HER favorite? The red one? The orange one? The yellow one? The green one? The blue one? The pink one? I liked the premise and design of this one! Scholastic has released a board book version of Shoe-La-La. This was a picture book that I loved a few years ago! Let's go find the perfect pair! Up, up, on our tippy toes. Could I really be liking a book with SO MUCH glitter on the cover? I'm not a glitter-loving girl after all. But. I was pleasantly surprised by Karen Beaumont's Shoe-la-la! I found this book about four friends to be so much fun! The rhythm-and-rhyme of it worked for me. (I can be a bit picky, I know!) And the illustrations by LeUyen Pham, well, they were fantastic!!! I just love, love, love her work so very much!!! I don't know that I've ever read a book she's illustrated (or written) that I didn't end up loving! A little hand can wave hello. And pat a puppy softly. A little hand can high-five. How much can a little hand do? Quite a lot in this interactive novelty board book. The die-cut (magnetic) hand on the cover can interact with each spread of the book. My favorite? Probably the peek-a-boo or perhaps the blowing of a kiss. It is a cute book though perhaps not the most exciting. Horsey rolling on the track. Opposites are explored in this rhyming board book. Horses are the subject: toy horses and real horses. Opposites explored: up/down, white/black, big/small. It may not be the best concept book available. But. For little ones showing an interest in horses, well, it may satisfy. A few of the pages interact. I like the up/down action on the cover for the merry-go-round horse. But the horse-jumping wheel was very tricky. I don't know if little hands could manage it. This is me. And this...is my baby doll. Isn't she pretty? And I change her diaper. I play with her in the bath. Then I wrap her in a cozy towel and give her a big hug. I love this one. I do. It is cute. It is precious. It is sweet. It is recommended by the publisher for 3 years and up. This little girl (love her pigtails!) loves playing mommy with her doll. The book is very interactive. The reader can help rock the baby's cradle, change the baby's diaper, wrap the baby in a towel, etc. Each spread reveals a new aspect of the baby routine. The last spread holds a surprise: she's just as eager to "help" her mom take care of her new baby brother or sister. (The text doesn't tell us). Love the illustrations in the details and the interactive features are just so precious! Laugh out loud or just giggle! Feel a tickle in your middle! Roll around and touch your toes! Give a grin! Wiggle your nose! they close their eyes and fall asleep. they snuggle in their mother's lap. they shut their eyes and start to purr. Love baby animals? Love bedtime books? Love sweet rhymes? There's plenty to satisfy in this gentle, soothing board book by Ken Nesbitt. I really enjoyed this one! The bunnies, the kittens, the lambs, the bear cub, and the baby chicks, they are all super-sweet. Can your little one solve the mystery and guess the right answer to these questions? It's fun, cute, playful. The flaps reveal the right answers. I like the repetition and predictability of it. Away We Go is a celebration of transportation, shapes, bold colors and designs. It uses die-cuts on every page. New pictures are constructed in a very creative way. Every spread is very bold, bright, colorful. The shapes explored are: squares, triangles, hearts, circles, stars, diamonds, octagons, rectangles, and ovals. Some of the vehicles: a truck, a train, an ice cream truck, a sailboat, a spaceship, etc. Caroline Jayne Church has illustrated a handful of songs now. Other board book titles include: This Little Light of Mine, You Are My Sunshine, and The More We Get Together. The illustrations are in her usual style: very cute and adorable in a sweet and precious kind of way. If you love Church's illustrations, then this one might be worth picking up. The text itself is not surprising. 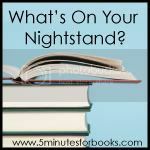 Hosted by 5 Minutes for Books. I have enjoyed each book in Philippa Gregory's Cousins' War series. I think I have enjoyed each book a little bit more as the series has progressed. The first book being my least favorite--from this series--and the last book probably being my most favorite. The series consists of: The White Queen by Philippa Gregory, The Red Queen by Phillipa Gregory, The Lady of the Rivers by Philippa Gregory, and The Kingmaker's Daughter by Philippa Gregory. The White Princess tells the story of Elizabeth York; she is the daughter of Edward IV and Elizabeth Woodville; the sister of the two princes in the tower; the niece of Richard III; the wife of Henry VII; the daughter-in-law of Margaret Beaufort; the mother of Henry VIII. To say her life was messy and complicated, well, that wouldn't even begin to explain it all. But Philippa Gregory gives her a voice, fictional though it may be. And her story is something. When readers first meet Elizabeth, she is mourning the death of Richard III. The novel taking the position that Elizabeth and Richard were in love with each other, and would have in fact married if the battle had gone a different way. Elizabeth knows that her marriage with Henry VII makes sense politically for both families. The York family being popular and beloved, and, the Tudor family being 'merely' conquerors--outsiders. But the thought of love is far from her mind. And Henry VII isn't exactly wooing her well. The book is fictional, and I'm curious if there is any basis in reality for this depiction? (And it's on the advice of his mother!) The two marry, of course, and children quickly follow. The main focus of the novel is on her private life, her role as a wife, mother, queen in a very uncertain court. Henry VII is depicted as being anxious and a bit obsessed. His concern that he'll be defeated in battle. That the York family will in some way or other will dethrone him, win back control, etc. His obsession with "the boy" that may or may not be Richard, duke of York. The novel spans over a decade: 1485-1499. And it does address in some ways, the fate of the boys in the tower. I definitely loved this one. I found it very compelling! It is such a fascinating period in history! There were things I really liked about The Water Castle, and there were things I really did not like about it. My favorite part of The Water Castle was the unfolding historical story of Nora Darling; this story was set around 1909. My least favorite part was all the "science." The Appledore family is returning to the town of Crystal Springs. The father has suffered a damaging stroke. The mother is doing the best she can to help him receive the best medical care or treatment. The three children (Price, Ephraim, and Brynn) are settling in to a new school and new town. Ephraim is struggling more than the others. The Water Castle is his coming-of-age tale. It is a busy tale with themes of friendship, family, exploration, and immortality. A lot of questing going on! I did like the focus on friendship. Ephraim does not make friends easily. Neither does Mallory Green. And Will Wylie, well, he almost chooses to be disagreeable. These three kids are very unlikely friends, and yet, they come together supposedly to work on a history report on Arctic exploration, but it is so much more than that. They are fascinated with the legendary stories of The Water Castle and the supposed quest for the fountain of youth. I would have preferred a magical or fantastical explanation for the "fountain of youth" story instead of the "science" one. There were elements in this one that I just did not connect with at all. It is a slow-and-steady story of friendship and perseverance. You might like it more than I did. # of Books: I hope to read a lot!!! I've read Mary Poppins three times now. I think I love it more each time. I find it funnier. There are twelve chapters; each chapter is a story or episode: "East Wind," "The Day Out," "Laughing Gas," "Miss Lark's Andrew," "The Dancing Cow," "Bad Tuesday," "The Bird Woman," "Mrs. Corry," "John and Barbara's Story," "Full Moon," "Christmas Shopping," and "West Wind." These stories tell of Mary Poppins and the four children in her charge: Jane, Michael, and the twins Barbara and John. My least favorite story is probably "The Bird Woman." My most favorite story is probably "John and Barbara's Story." Mary Poppins took out a large bottle labelled "One Tea-Spoon to be Taken at Bed-Time." A spoon was attached to the neck of the bottle, and into this Mary Poppins poured a dark crimson fluid. "Is that your medicine?" enquired Michael, looking very interested. But Mary Poppins's eyes were fixed upon him, and Michael suddenly discovered that you could not look at Mary Poppins and disobey her. There was something strange and extraordinary about her--something that was frightening and at the same time most exciting. The spoon came nearer. He held his breath, shut his eyes and gulped. A delicious taste ran round his mouth. He turned his tongue in it. He swallowed, and a happy smile ran round his face. "Huh, Cinderella? Not me," said Mary Poppins contemptuously. "Cinderella, indeed!" "Robinson Crusoe--pooh!" said Mary Poppins rudely. "Then how could you have been there? It couldn't have been our Fairyland!" "Are you quite sure he will be at home?" said Jane, as they got off the Bus, she and Michael and Mary Poppins. Upstairs in the Nursery Mary Poppins was airing the clothes by the fire, and the sunlight poured in at the window, flickering on the white walls, dancing over the cots where the babies were lying. "I say, move over! You're right in my eyes," said John in a loud voice. "Sorry!" said the sunlight. "But I can't help it. I've got to get across this room somehow. Orders is orders. I must move from East to West in a day and my way lies through this Nursery. Sorry! Shut your eyes and you won't notice me." The gold shaft of sunlight lengthened across the room. It was obviously moving as quickly as it could in order to oblige John. "How soft, how sweet you are! I love you," said Barbara, holding out her hands to its shining warmth. "Good girl," said the sunlight approvingly and moved up over her cheeks and into her hair with a light, caressing movement. "Do you like the feel of me?" it said, as though it loved being praised. John, drowsing in the sunlight, put the toes of his right foot into his mouth and ran them along the place where his teeth were just beginning to come through. "Why do you bother to do that?" said Barbara, in her soft, amused voice that seemed always to be full of laughter. "There's nobody to see you." "I know," said John, playing a tune on his toes. "But I like to keep in practice. It does so amuse the Grown-ups. Did you notice that Aunt Flossie nearly went mad with delight when I did it yesterday? 'The Darling, the Clever, the Marvel, the Creature!' -- didn't you hear her saying all that?" And John threw his foot from him and roared with laughter as he thought of Aunt Flossie. Jane, after some hesitation, eventually decided that a white dickey would be just the thing for Mr. Banks, and she bought Robinson Crusoe for the Twins to read when they grew up. Love historical mysteries? Consider reading Julie Berry's latest YA novel. All The Truth That's In Me has a very colonial feel to it. Told in the first person, it tells a bittersweet story of a young woman, Judith Finch, who has endured much in her teen years. Though not as much as is at first feared. Days after a young girl's disappearance, Judith herself goes missing. One body is found, naked, in the river. The other remains a mystery--at least for two years. A tongueless Judith wanders back into the community after being gone for two years. She can't tell her story--or won't tell her story. So people make up their own stories about her. You might think Judith would be welcomed back, pitied; but the opposite is true. She's an outcast. No one knows for sure how tainted she may be from her experiences. But who would want to marry her now, not knowing? Who would want her to be friends with their daughters? Her story is revealed, slowly. And it is told so beautifully, so compellingly. All The Truth That's In Me is a great mystery, a great coming-of-age story, a great story of friendship. I loved seeing Judith find her voice and tell her story. From start to finish, Judith's story is full of Lucas, the boy she's spent her whole life loving. In fact, the whole story belongs to him, in a way; he is the "you" she's addressing. I loved this one. I thought the narrative was beautiful, haunting, memorable. The book was not what I expected at all, based on the cover. It was so much better. This book deserves a cover that matches its genre. I really enjoyed this Hercule Poirot novel. In this mystery, Poirot is traveling from France to England via airplane. On his trip, one of the passengers dies. For a few seconds at least, it is suspected that a wasp sting is to blame for Madame Giselle's death. But only for a few seconds. A dart is found, a poisoned dart, no doubt. The question is which passenger is a murderer? Poirot has quite a mystery to solve. I definitely enjoyed this one! Readers get to know many of the passengers. In particular readers get to know a certain young lady, a hair dresser named Jane Grey. This mystery will take Poirot (and others) back and forth between the two countries. Some clues can only be found in France, for example. Can Poirot solve the crime before the police? The more I read of Hercule Poirot, the more forgiving I am of his arrogance. Poirot can brag and boast; I'm not sure there is any of his mysteries where he doesn't have a big ego. But Poirot is impressive, and his reputation is well-earned. Do you have a favorite Hercule Poirot novel? I absolutely LOVE AND ADORE Jarret J. Krosoczka's new novel, Platypus Police Squad: The Frog Who Croaked. It was love from the very start! "This is the city, Kalamazoo City. Population: 75,000. By day, it's a bright, vibrant metropolis, the kind of city where dreams come true... Those who don't live here dream of making it here. And those who do, well, they know that there's just no city like it." It goes on, "On one particular evening, a rather dapper-looking frog stood looking very much out of place among the rifraff who nightly roamed the docks. He was dressed like a teacher. In fact, he was a teacher. Professor Hopkins." It just doesn't get better than that! Who would not want to read this book? That is, if you like or love detective stories!!! This book has atmosphere and attitude and is practically perfect in every way. The stars of this book are Rick Zengo (a rookie) and his partner Corey O'Malley. They are essentially trying to solve a few mysteries: 1) where did Professor Hopkins go? He hasn't been seen in a few days and I believe his jacket was found in suspicious circumstances along with a few tire tracks. Is he dead or alive? Has this frog croaked? 2) who is responsible for bringing in illegal fish and selling it at the school and school sponsored events? Illegal fish is dangerous, don't you know?! Loved it from cover to cover! Highly recommend. I enjoyed reading Second Fiddle by Rosanne Parry. Jody Field is finding life bittersweet. She's spent a few years now in Berlin, and she's got two fantastic friends: Giselle and Vivian. All three take music lessons from Herr Muller. They are a string trio preparing to play Canon in D for an international music competition in Paris. It will be--most likely--the last time they ever play music together again. Early in the novel, the girls are disappointed to learn that the trip is off. Their teacher who was to chaperon them on the trip is very ill--he'll be in the hospital. Before they can deliver the bad news to their parents, however, they witness something extraordinary: the near-murder of a man, a soldier, a Soviet soldier. His own army has turned against him. They witness the beating. They witness his being thrown over the bridge and into the river. So what do they do? What can they do? And will this change everything? Second Fiddle is a very thoughtful novel. The three girls are very independent, resourceful, even courageous. Are they mature enough to handle the real world? Especially when that real world involves espionage?! Probably not. But determined they are! Second Fiddle was a fascinating novel set in Berlin and Paris in 1990. I'll bet you've met plenty of doctors in your life. And I'll bet lots of them were women. Well, you might find this hard to believe, but there once was a time when girls weren't allowed to become doctors. Back int he 1830s, there were lots of things girls couldn't be. Girls were only supposed to become wives and mothers. Or maybe teachers, or seamstresses. Being a doctor was definitely not an option. What do you think changed all that? Or should I say....WHO? This picture book biography would make a great read aloud. Before the Civil War, there weren't many women nurses. But the war gave women the opportunity to fill an urgent need, and also the opportunity to prove themselves capable and skilled. For women who met these qualifications: at least thirty, very plain, unmarried, strong, and two reference letters proving their moral quality, there was an opportunity to serve their country well during a time of great need. Louisa May Alcott was one woman who answered the call. After several months nursing, Louisa May Alcott became very ill. She was unable to keep nursing; it took her months in bed to recover her health. After she recovered, she wrote Hospital Sketches. This was her first publication. This book was very significant. And its success in part led her to write another book: Little Women. I enjoyed Kathleen Krull's newest biography. Night after night, Henrietta sat on her front porch, gazing up at the stars. How high? How high is the sky? She wanted to know everything about the wonderful bigness of all she saw. The more she looked up, the bigger the sky seemed to get. It seemed endless! Look up! is a picture book biography of the astronomer Henrietta Leavitt. The story is of a little girl who loved the night sky, who loved the stars, who followed her dream and persevered academically in a man's field. Most astronomers, at the time, being men, of course. But she knew what she wanted, and she knew she could do it. Henrietta's job--she got paid thirty cents an hour--was not to gaze through the telescope. Her job was to examine, to study, the photographs taken by others. She was good at her job, and through her measuring, through her detailed study, she made an important discovery, a discovery having to do with measuring distances and the vastness of galaxies. A steamship pulls into the harbor, carrying hundreds of immigrants--and a surprise for New York City. The surprise is dirt poor, just five feet tall, and hardly speaks a word of English. Her name is Clara Lemlich. This girl's got grit, and she's going to prove it. Look out, New York! Brave Girl is a picture book biography of Clara Lemlich, a young woman who led women factory workers to strike. This picture book focuses on the social injustices of the times, and how important it was for workers to be able to form unions, and make a stand together for what they believed to be right and fair. Clara's story is inspiring. Her determination and strength seem incredible. "She wants to read, she wants to learn! At the end of her shift, though her eyes hurt from straining in the gaslight and her back hurts from hunching over the sewing machine, she walks to the library. She fills her empty stomach with a single glass of milk and goes to school at night. When she gets home in the late evening, she sleeps only a few hours before rising again."